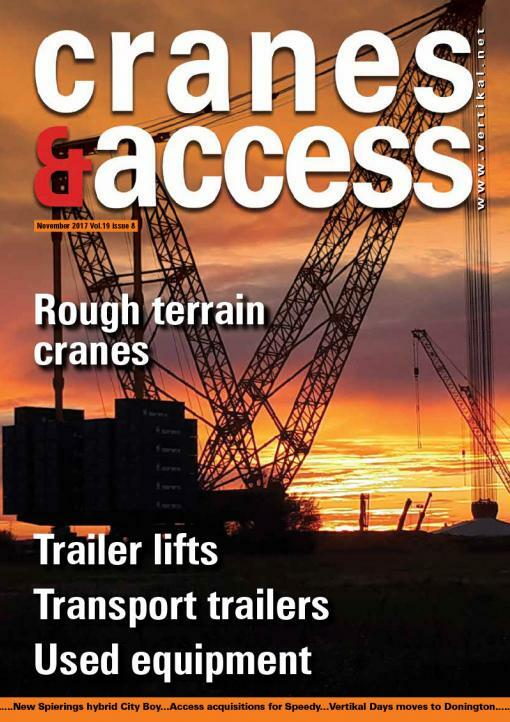 Spierings launches new hybrid City Boy, Speedy spends £22 million on acquisitions, New innovations from ALE, Vertikal Days moves to Donington, New RT scissor from Holland Lift, Demag unveils AC45 City crane, New Bobcat telehandler, New XC booms from Genie, Link-belt’s new RTC-80160 Series II, New Fassi loader crane, New shareholders for Kiloutou, 5,000 Terex insulated aerial lifts for China, Vp acquires Brandon Hire, Coroner calls for lower speed limits for articulated cranes, New Grove GMK4090 All Terrain and financials round-up. With North America the major market for Rough Terrain cranes it was fitting that many new models were launched at Conexpo this spring. We take a closer look at the new introductions as well as other developments and a few applications. Although the trailer lift was one of the first aerial lifts to be developed, its sales and profile has been subdued for many years particularly in the UK, once a substantial market. Is its fortune about to change? We review the market. Transporting equipment to and from its point of use safely and efficiently is a major element in any work package. Trailers are increasingly being designed for very specific needs, particularly very large components and aerial work platforms. 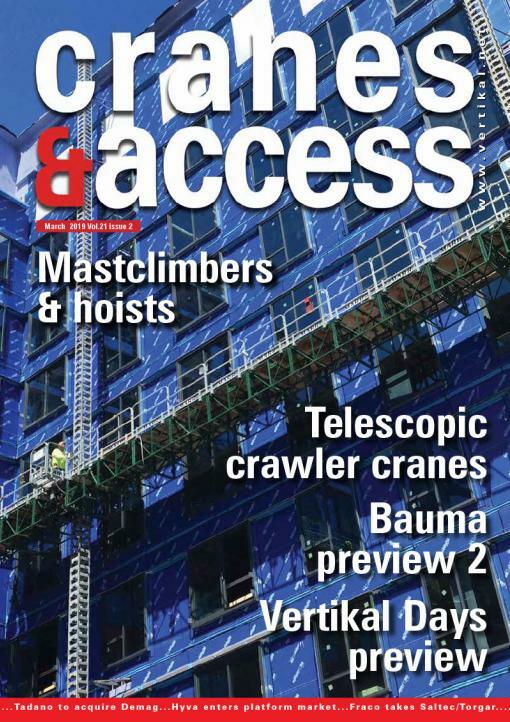 We take a look at the sector as well as reviewing several new products from heavy lift and transport company ALE. There are plenty of companies advertising used equipment for sale but there are very few that own the equipment they are promoting or provide a full range of used equipment services. Mark Darwin talks to Wesley Wittstock, Pfeifer Machinery’s UK-based area manager about the company and the ups and downs of the sector. Terex launched several new Demag cranes last month, including the new AC45 City. Is this the start of a new ‘Demag’ era for the company or is it just papering over the cracks? Mark Darwin reports from the company’s facility in Wallerscheid, Germany. Cranes & Access took time to visit the Port of Ghent to take a look at Sarens’ new SGC-140 ring crane which can lift 2,820 tonne at 50 metres radius.